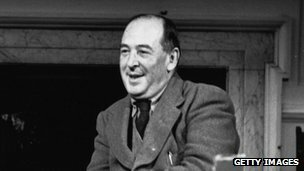 A memorial stone to writer and scholar CS Lewis is to be placed in Poets’ Corner in Westminster Abbey in 2013. A service will take place on 22 November 2013 to mark the 50th anniversary of his death. Excellent news! We have exactly one year to wait for the big day – which I hope won’t be overshadowed by the 50th anniversary of Doctor Who the very next day. (Oh, and some President was assassinated, but will anyone remember that?) Thanks to Vernon White, Canon Theologian at Westminster Abbey and an old friend from my Clare College, Cambridge (not sure if he will remember me! ), for apparently being one of the driving forces behind this. Lewis well deserves his place among the greats of British literature. This entry was posted in C.S. Lewis by Peter Kirk. Bookmark the permalink. Interesting. The day before that core 50th anniversary. Setting aside a certain assasination I remember the first episode well. Watched it with my elder brother. For me William Hartnell has always been THE Doctor, though I was not averse to Jon Pertwee and even David Tennant. I wonder if CSL would have watched it!